The result is the first comprehensive look at Israel’s use of state-sponsored killings. An excerpt from the book published in the NYT , details how when former Israeli Prime Minister Ariel Sharon was defense minister, he ordered the Israeli army to shoot down a passenger plane carrying hundreds of innocent people Arafat was thought to be on. 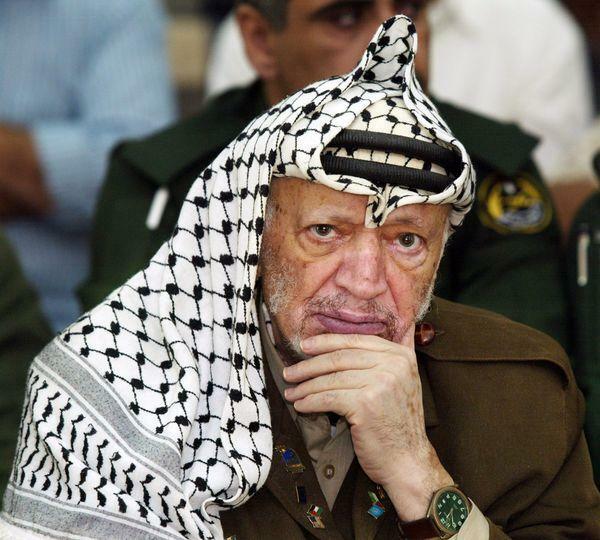 Arafat was chairman of the Palestine Liberation Organization at the time. Although the plan was eventually called off, it was allegedly one of a list of plans to to assassinate the Palestinian leader. “I found that since World War II, Israel has used assassination and targeted-killing more than any other country in the West, in many cases endangering the lives of civilians,” Bermen chillingly wrote, in the process unleashing a whole new series of conspiracies theories, many of which will certainly also be confirmed. In another assassination attempt in October 1982, Mossad set its sights on a plane which was carrying 30 wounded children, victims of the Sabra and Shatila massacre by Phalange militia in a Palestinian refugee camp in Lebanon. According to the book, Tsomet, the Mossad unit which recruits assets overseas, had heard Arafat would take a plane from Athens to Cairo. Caesarea, the Mossad unit responsible for targeted killings, sent two operatives to wait at Athens airport. F-15 fighters were placed on alert. Mossad eventually realized the man was not Arafat, but his brother – who was bringing wounded Palestinian children to Cairo for medical treatment. As Bergmen explains, he first heard of that assassination plan in 2011, but his source made him promise to wait until a second person came forward with the story. In another case detailed in the book, fighter jets surrounded a commercial flight from Jordan to Tunisia, while in another incident, they disrupted a Boeing 707’s communications, Haaretz reports. In addition to Mossad's apparent penchant for covering up a single assassination among dozens of innocent victims, there is an even more bizarre revelation. Bergmen writes of an assassination attempt inspired by the movie The Manchurian Candidate. Israelis reportedly sought to turn a Palestinian prisoner into a trained killer. The only problem is that this backfired when, five hours after being released, the prisoner turned himself into the police and explained everything. Then there was plain old mass murder: another plan was to take out all of the Palestine Liberation Organization leadership by setting up bombs inside a Beirut stadium where the group were planning to celebrate the anniversary of their first operation against Israel. According to the book, the Israelis also set up cars rigged with explosives outside the stadium, set to detonate minutes after the first explosion to target survivors as they were trying to escape. The operation was cancelled at the last minute, after a group of officers and the defense minister demanded it be called off. Meanwhile, Israel's vendetta with Arafat continued and in 1982, Sharon created a special task force named Salt Fish to take out the PLO leader. 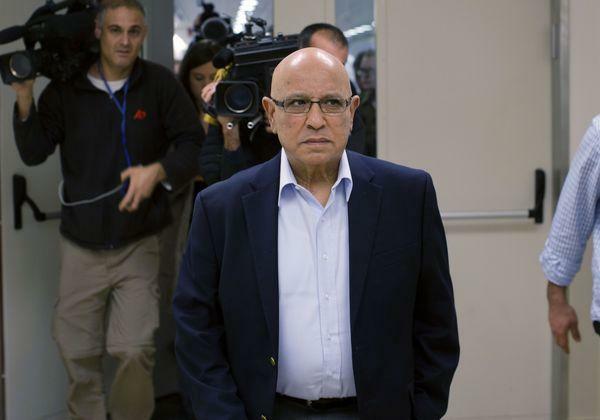 He appointed special operations experts, Meir Dagan, who later became head of Mossad, and Rafi Eitan, who was then adviser to the defense minister on counterterrorism matters. The group even debated killing Israeli journalists who were going to interview Arafat in Lebanon in 1982, with the consensus being that, yes, it was worth carrying out such an operation. However, Mossad lost the group on the way to the meeting. "The feeling was that it was something personal for Sharon,” Air Force commander in Chief Major General David Ivry told Bergmen. One can almost see why. Still, despite their best efforts, Arafat continued to evade Mossad's relentless assassination attempts, in no smart part thanks to the occasional normal human being. He explained that he was concerned about civilians being killed in an assassination, and clashed with Eitan over it, who would get angry over missed opportunities. Dayan even withheld intelligence from Eitan to prevent civilian casualties. It wasn't just Arafat: poisoned toothpaste that takes a month to end its target’s life. Armed drones. Exploding cell phones. Spare tires with remote-control bombs. Assassinating enemy scientists and discovering the secret lovers of Islamic holy men: these were the techniques Israel used to carry out at least 2,700 assassination operations in its 70 years of existence. While many failed, they add up to far more than any other Western country, the book says. Bergman, the author of several books, also says that the Israeli secret services sought to interfere with his work, holding a meeting in 2010 on how to disrupt his research and warning former Mossad employees not to speak with him. He also claimed that President George W. Bush adopted many Israeli techniques after the terrorist attacks of Sept. 11, 2001, and President Barack Obama launched several hundred targeted killings. One of Bergman’s most important sources was Meir Dagan, a recent head of Mossad for eight years who died in early 2016. Toward the end of his career, Dagan fell out with Prime Minister Benjamin Netanyahu partly over launching a military attack on Iran. Netanyahu said intelligence techniques such as selling the country faulty parts for its reactors — which Israel and the U.S. were doing — weren’t enough. Finally, we may have to wait for part 2 of the book to learn how many of Mossad's other clandestine operations leading to "massive civilian casualties" - with several key prominent examples springing to mind - were not stopped from taking place.